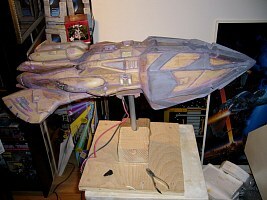 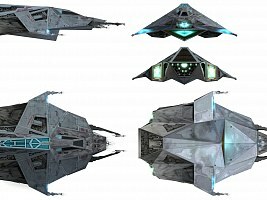 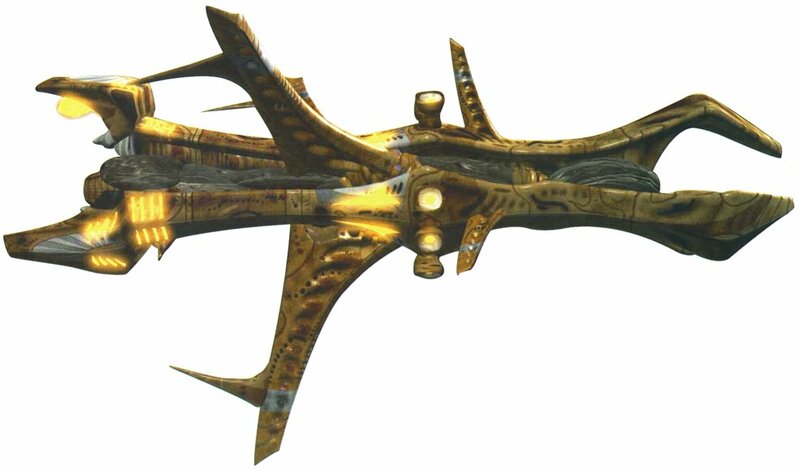 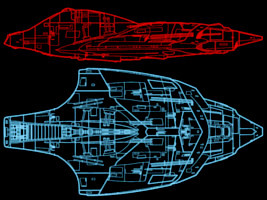 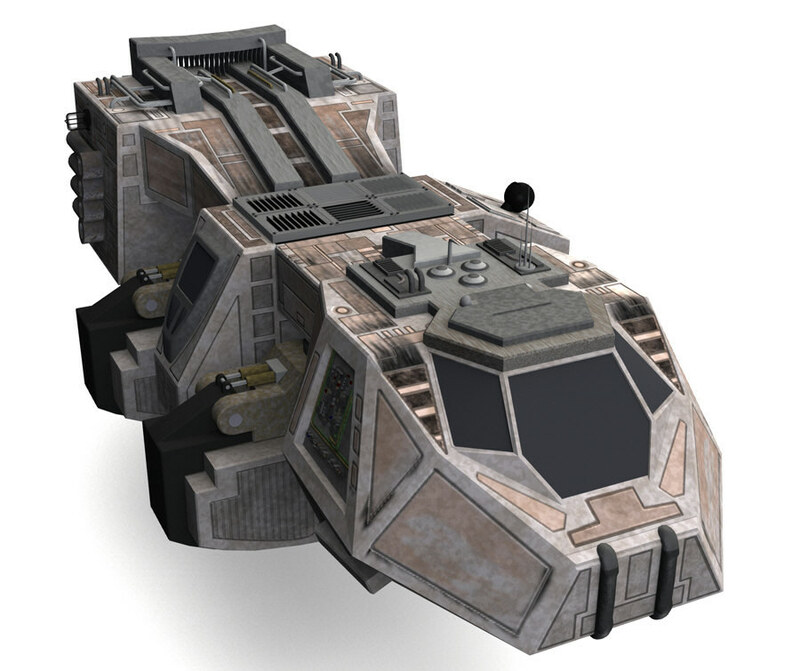 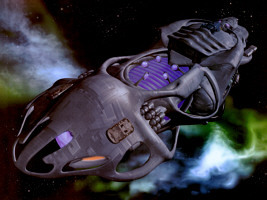 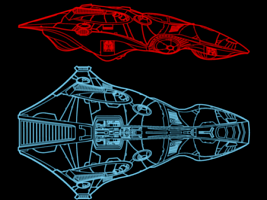 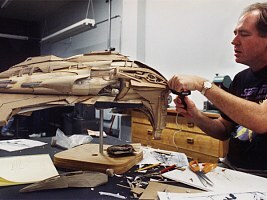 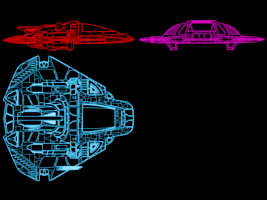 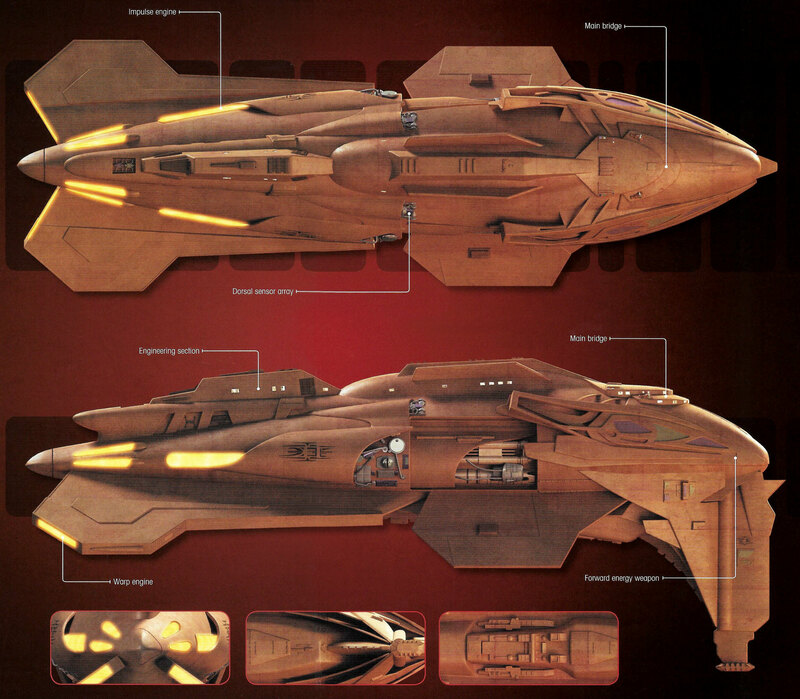 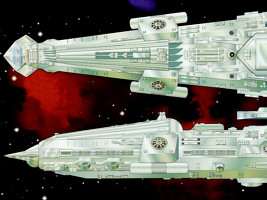 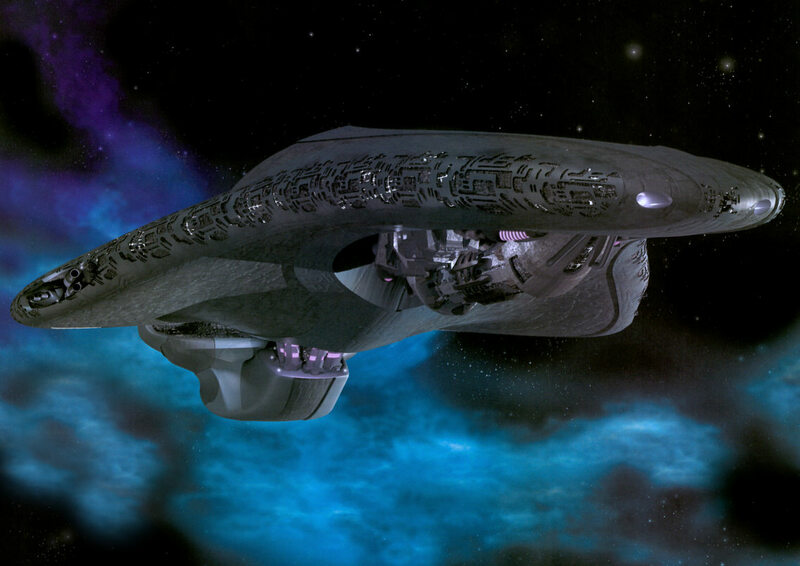 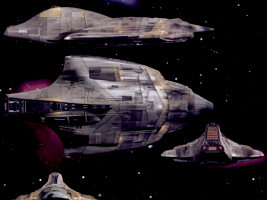 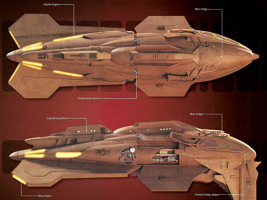 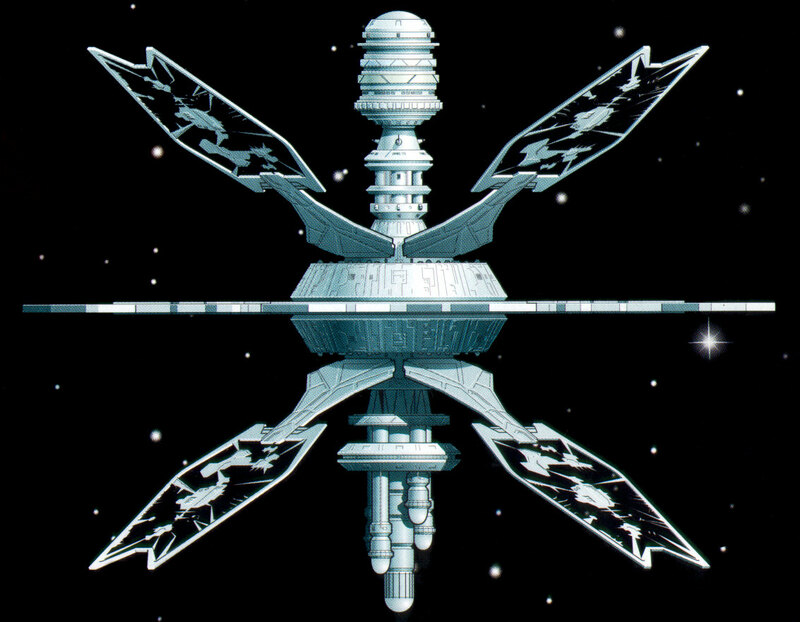 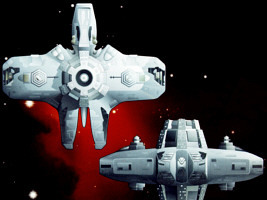 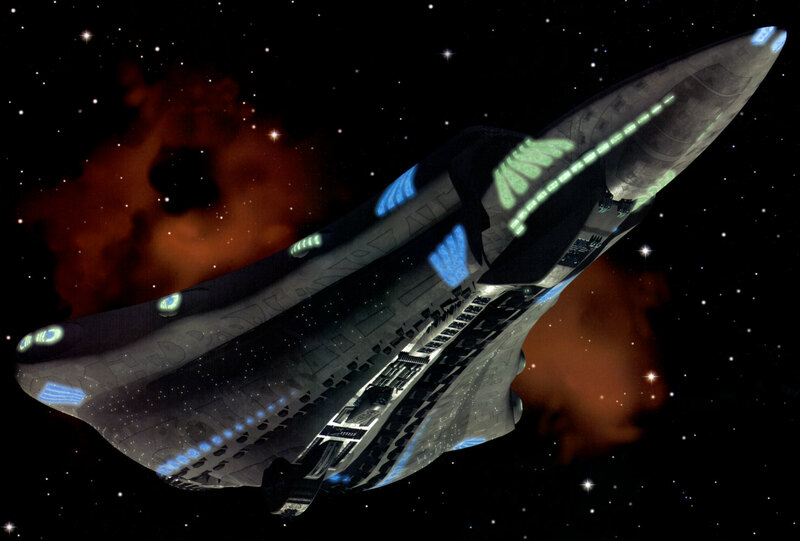 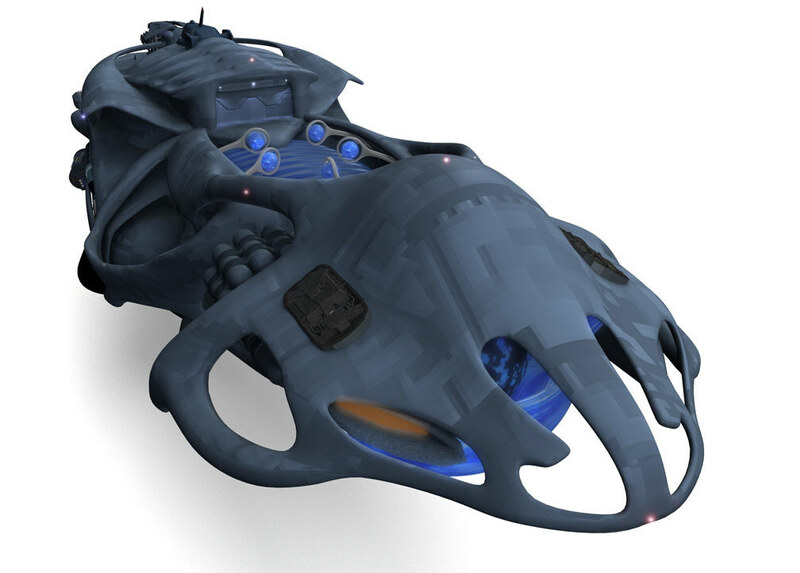 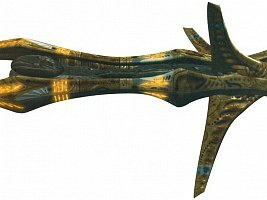 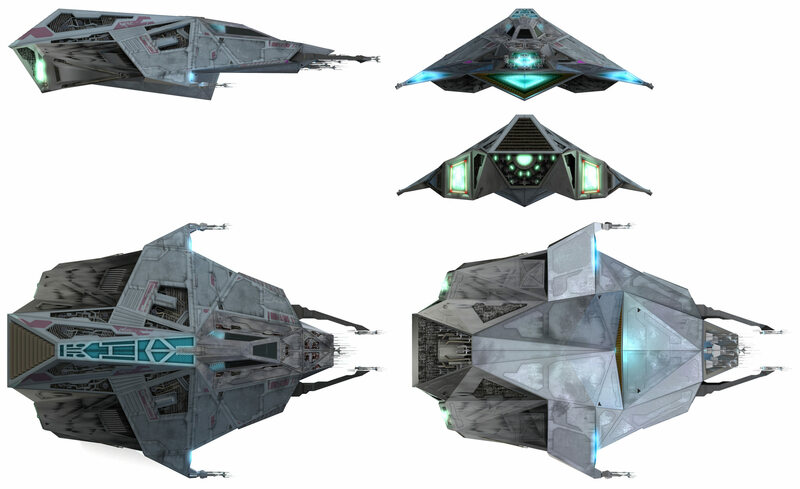 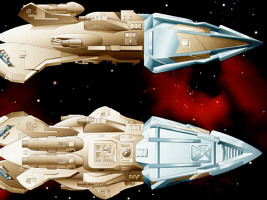 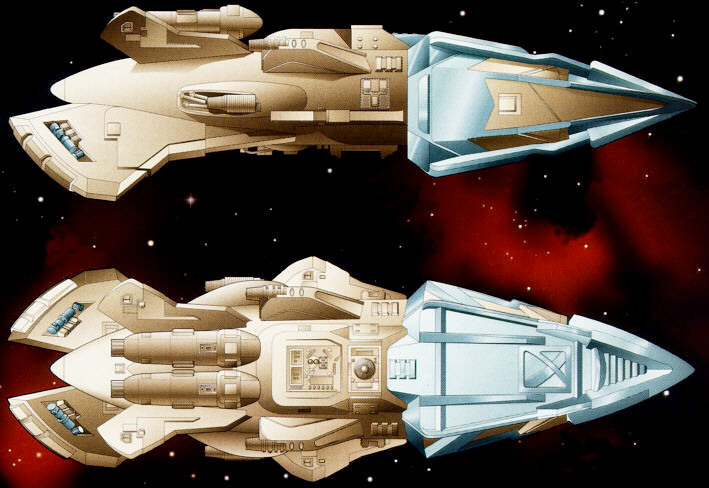 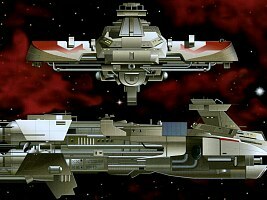 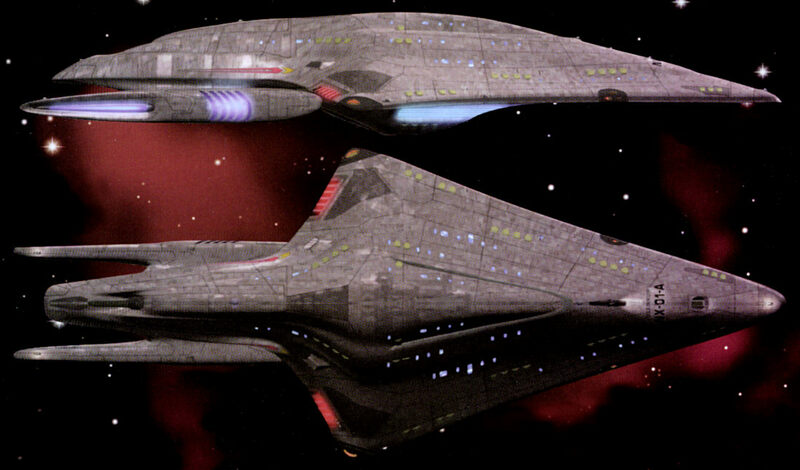 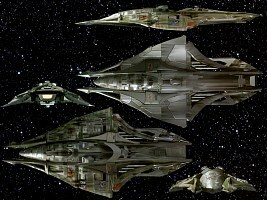 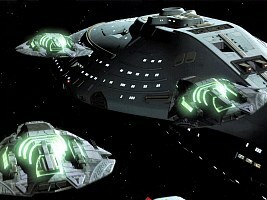 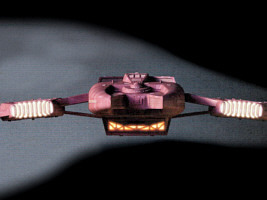 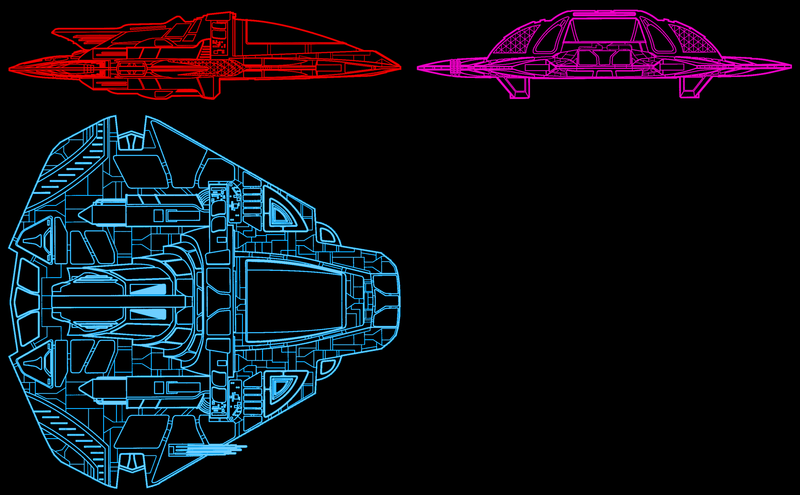 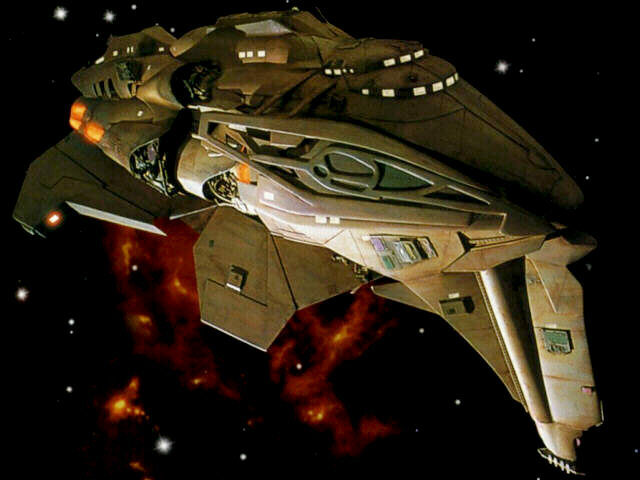 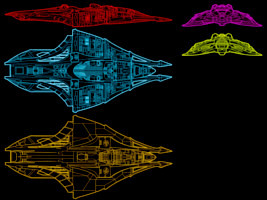 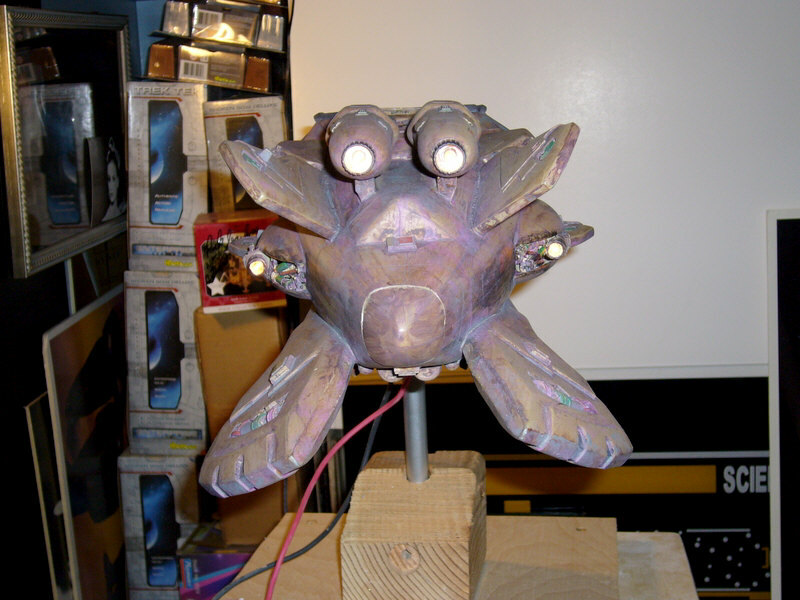 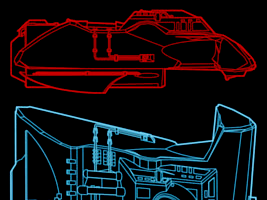 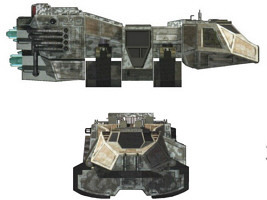 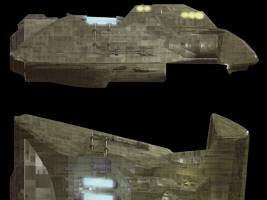 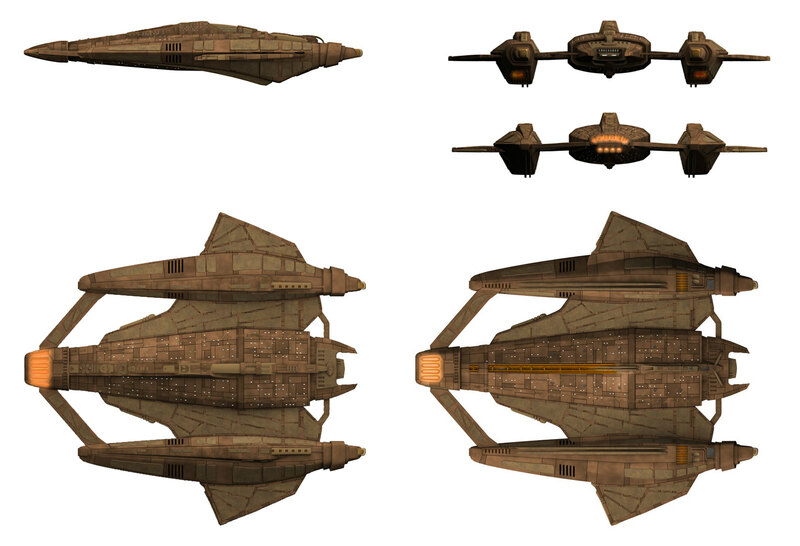 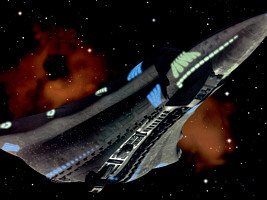 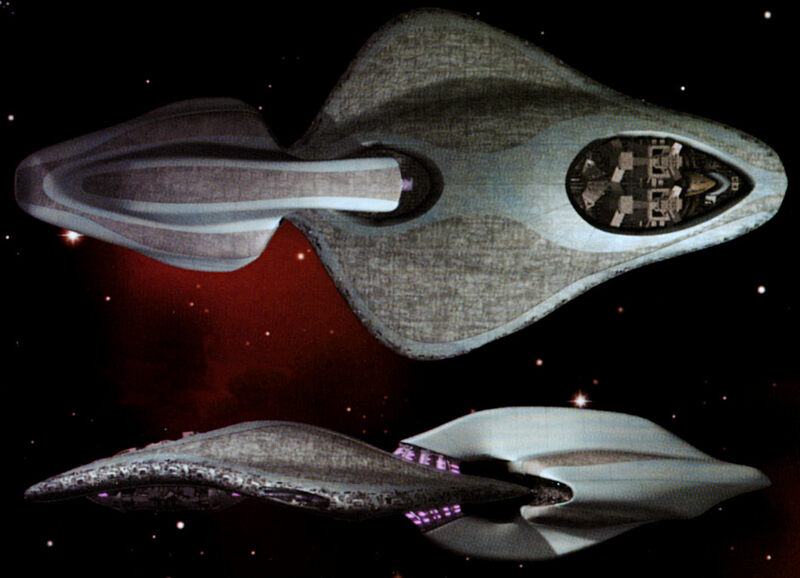 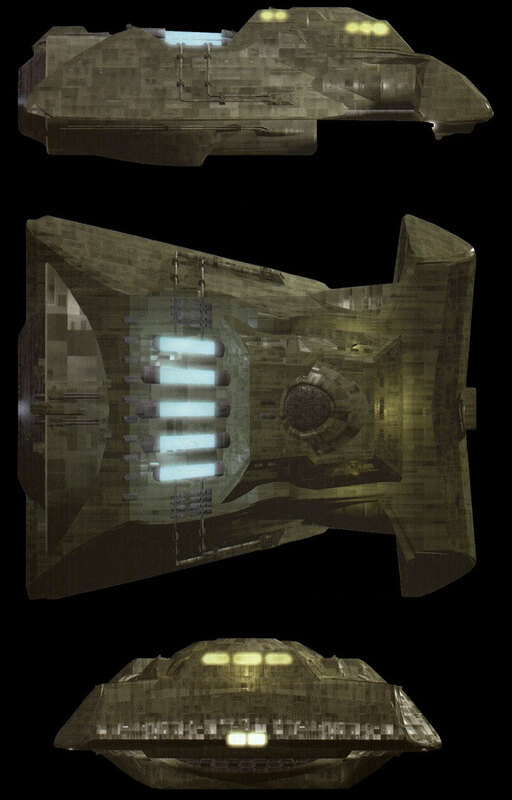 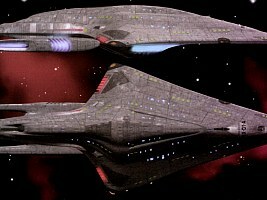 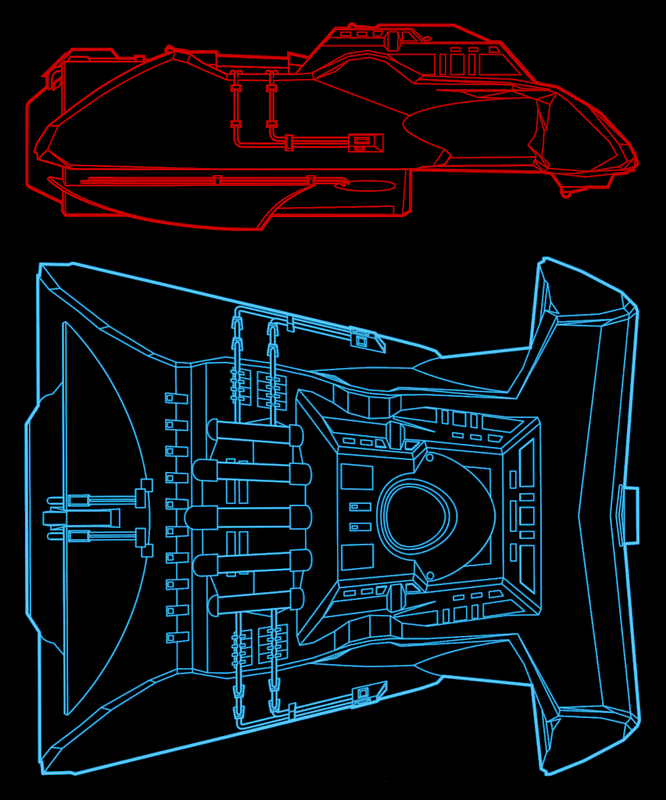 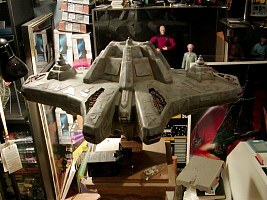 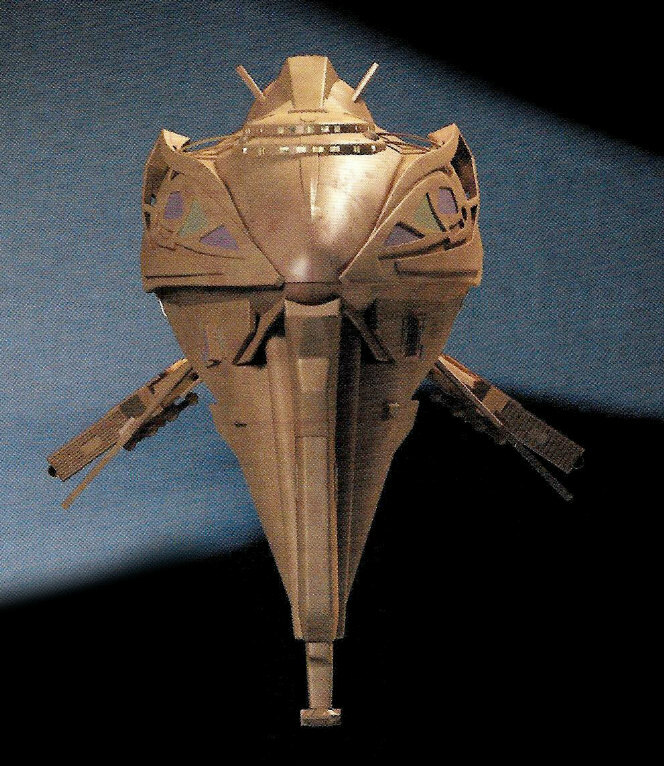 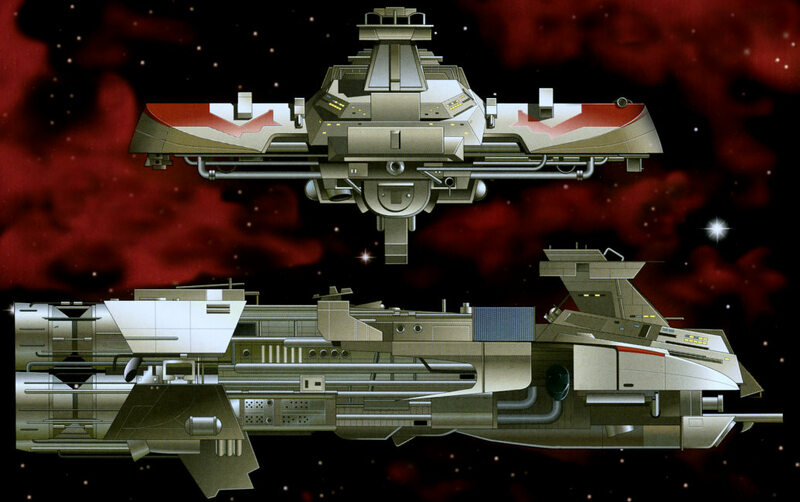 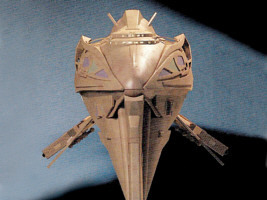 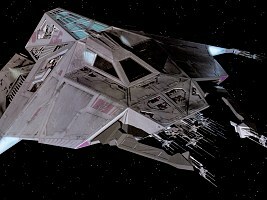 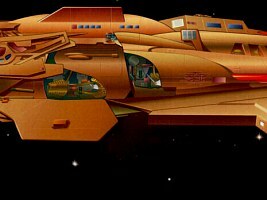 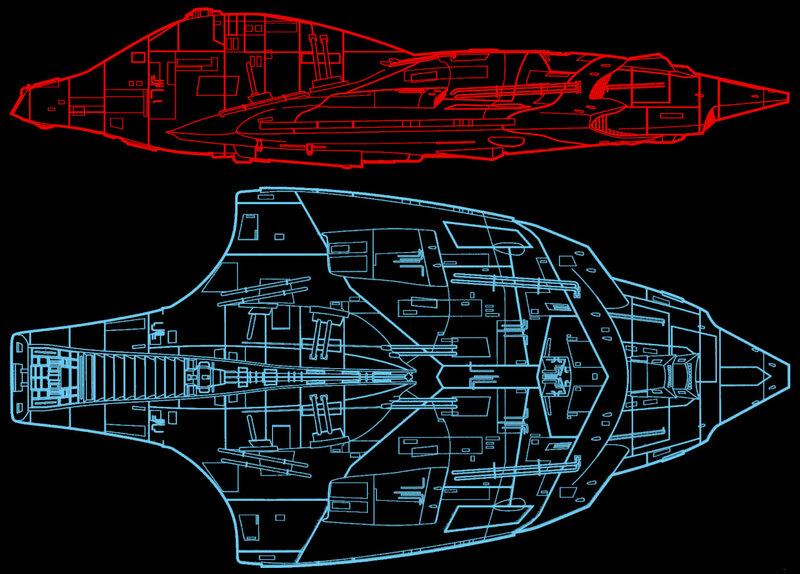 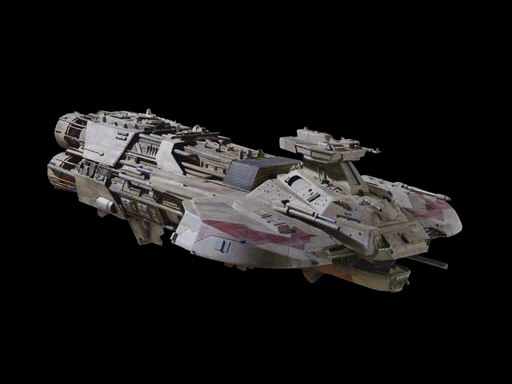 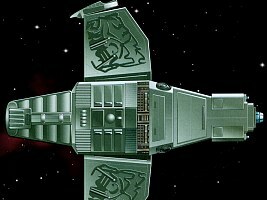 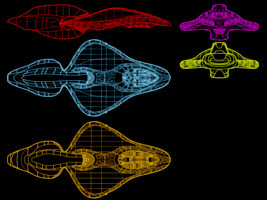 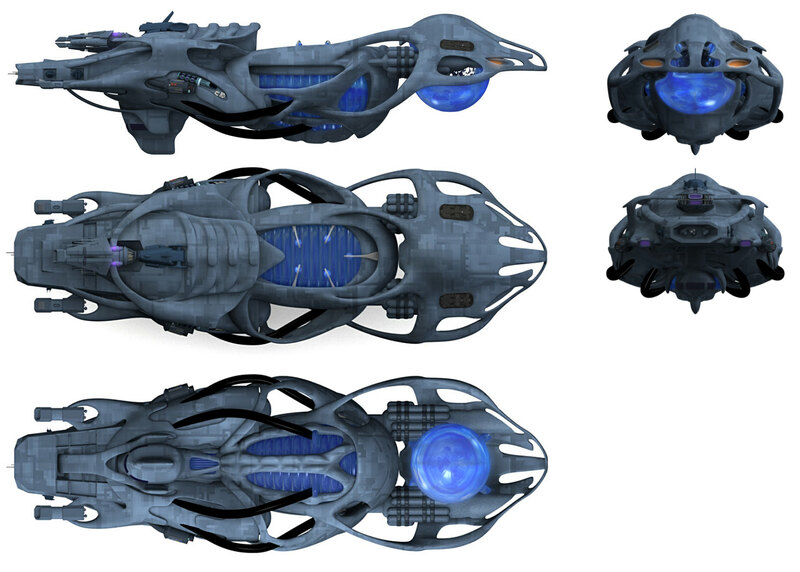 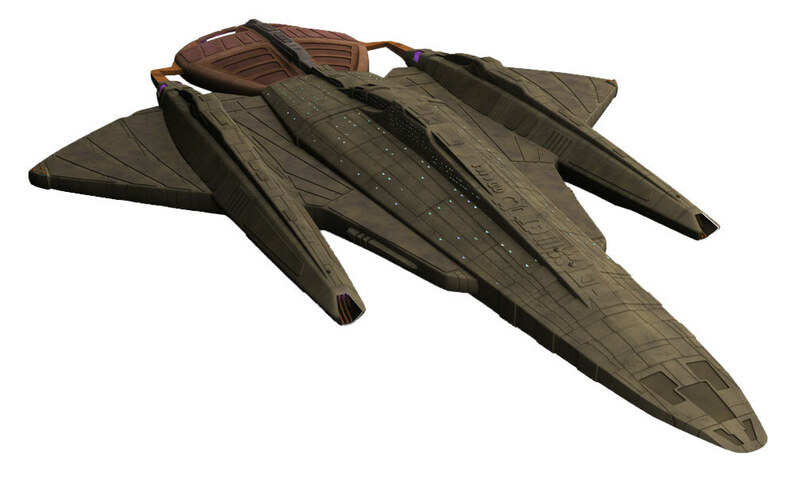 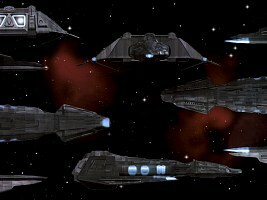 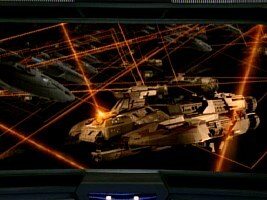 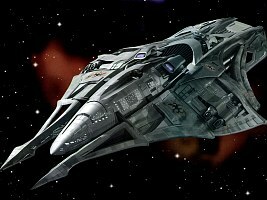 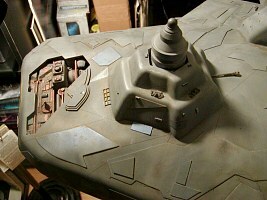 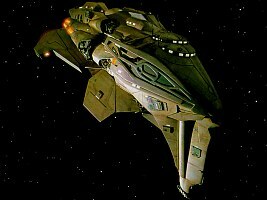 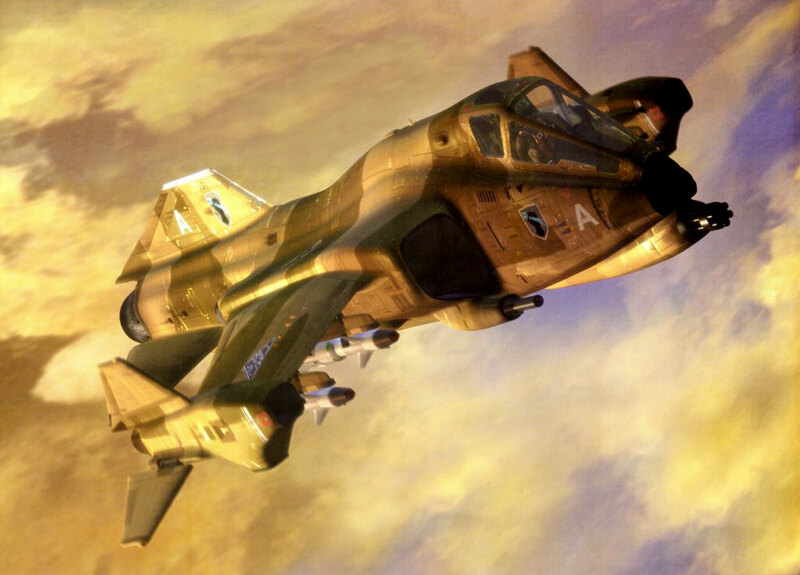 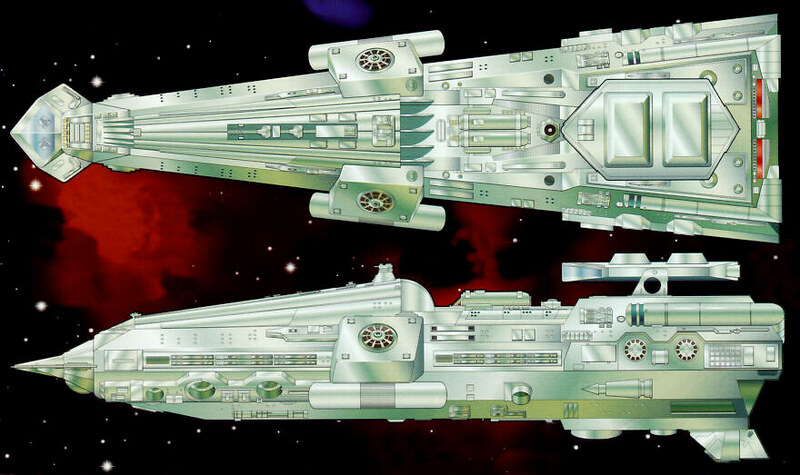 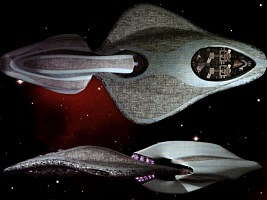 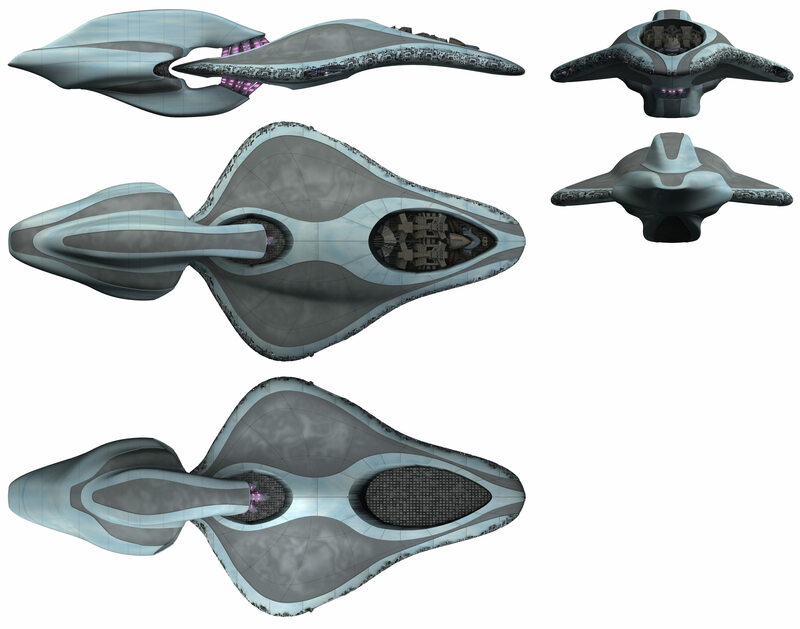 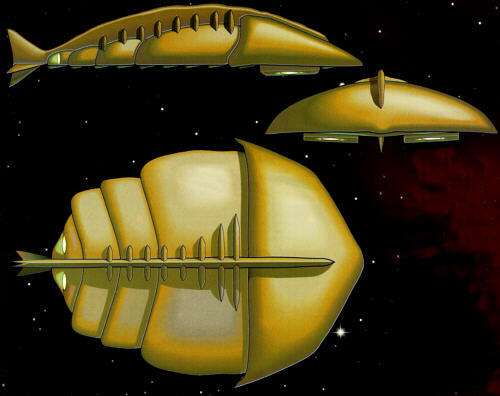 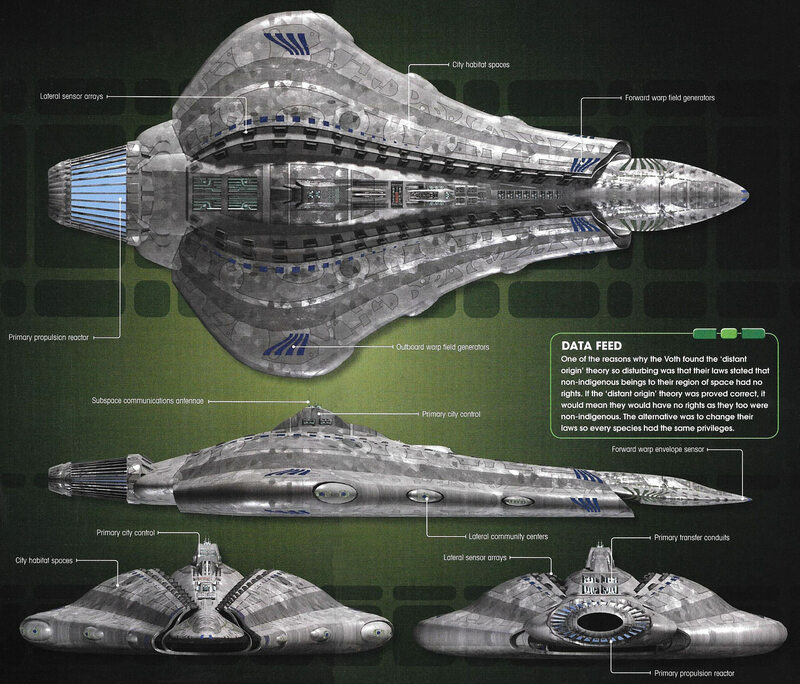 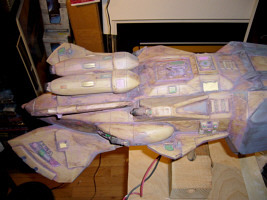 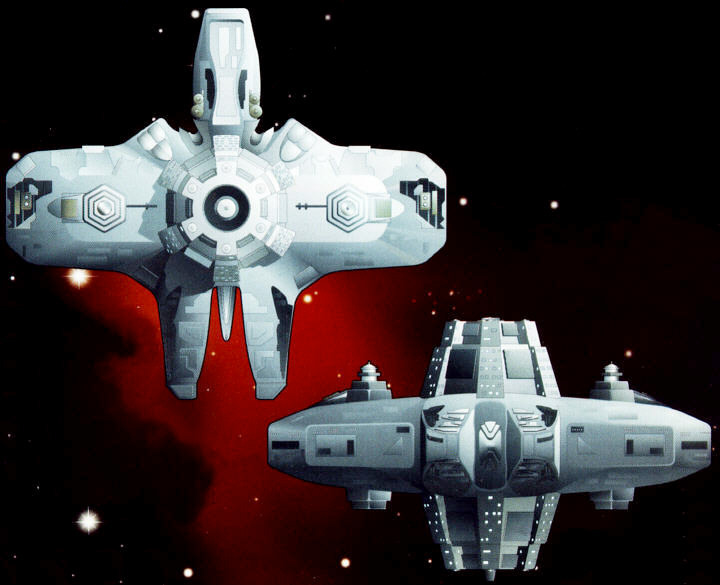 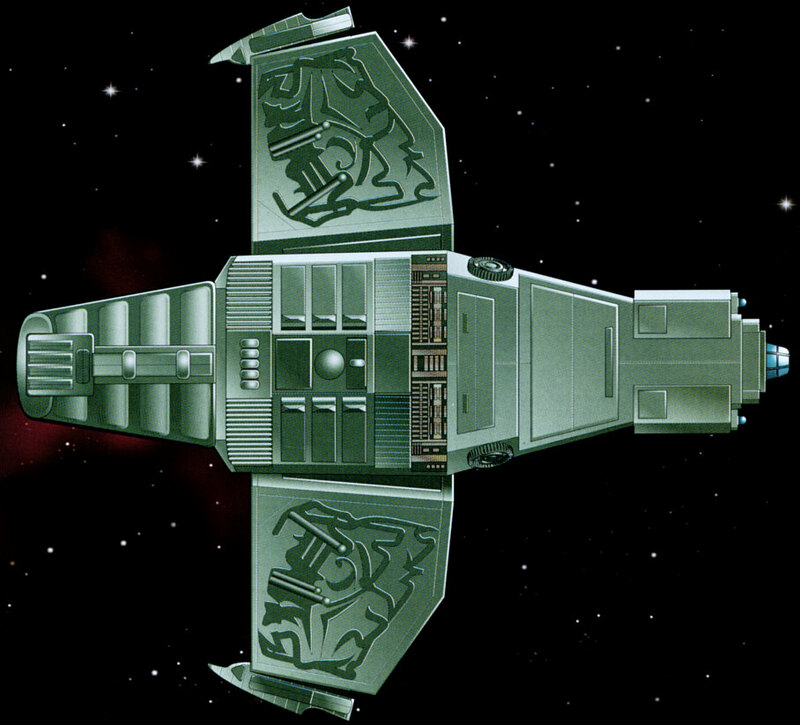 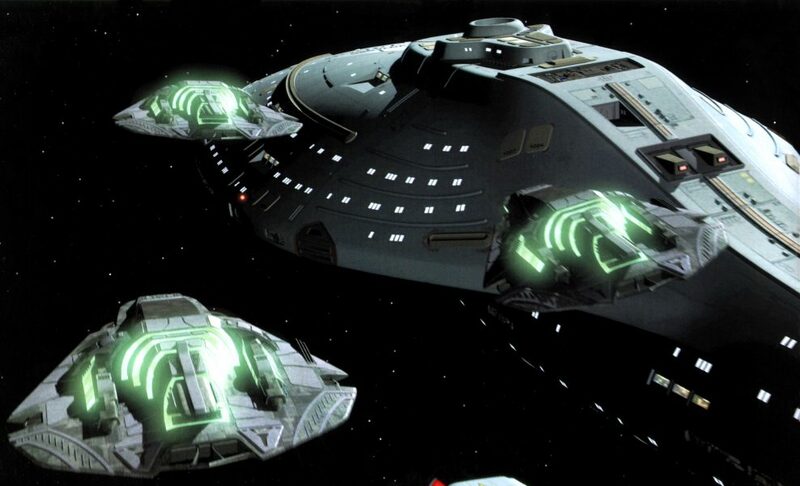 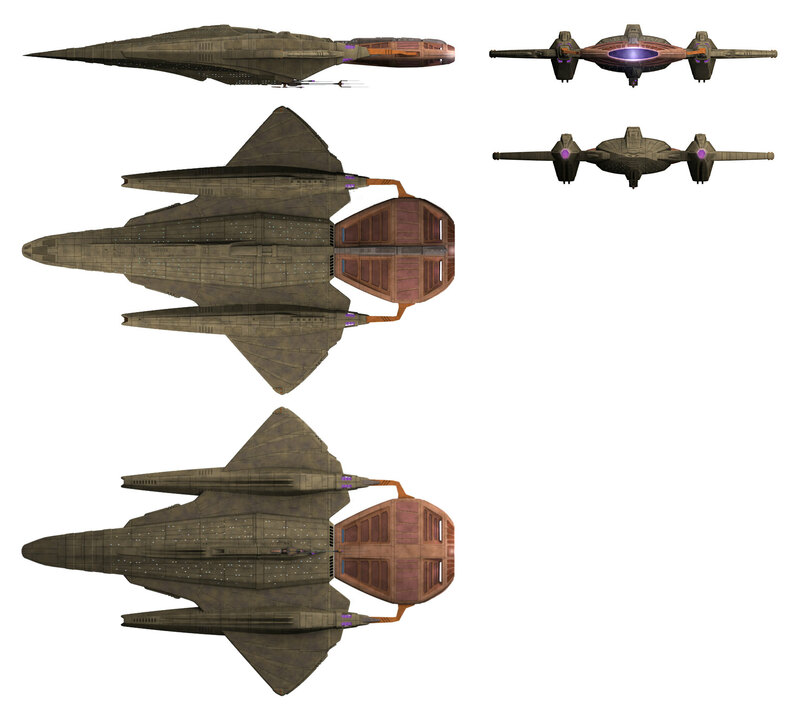 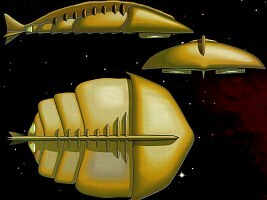 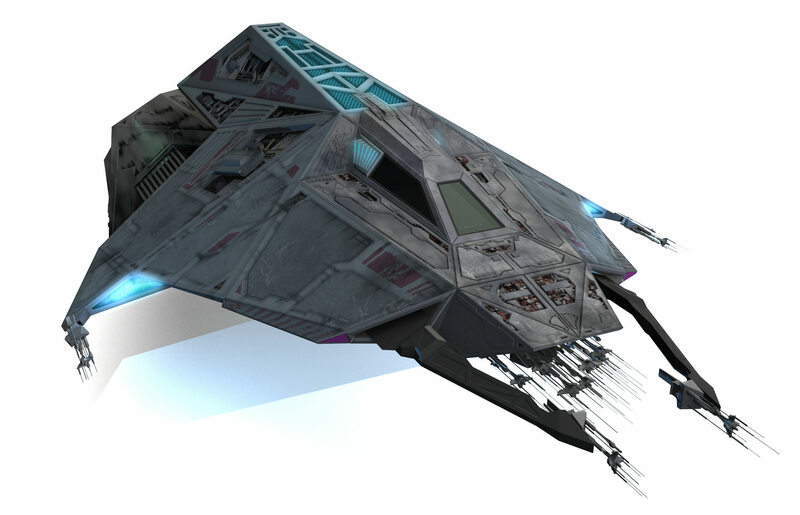 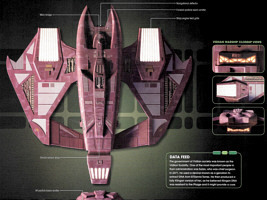 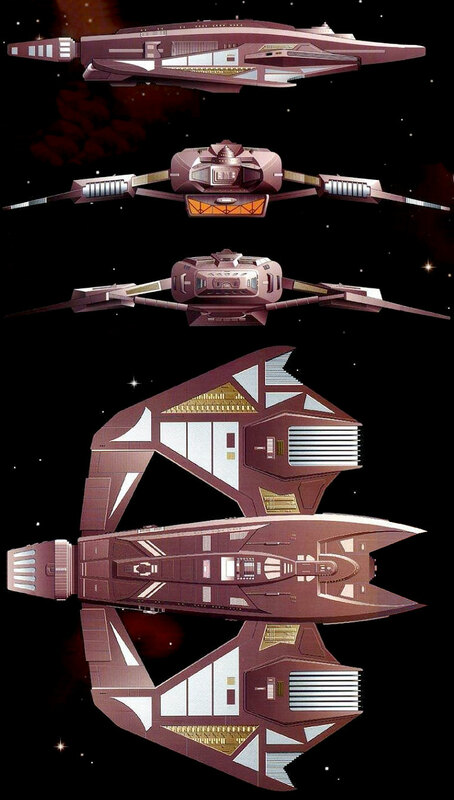 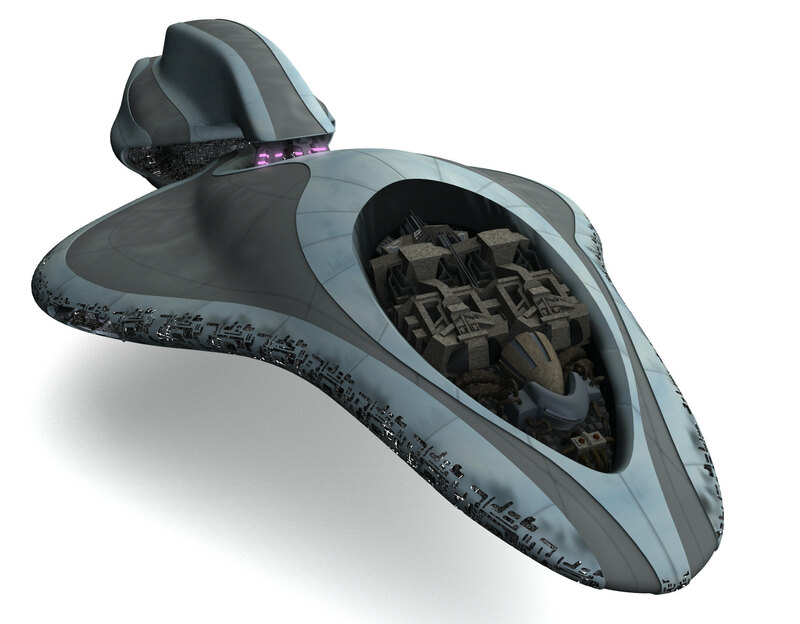 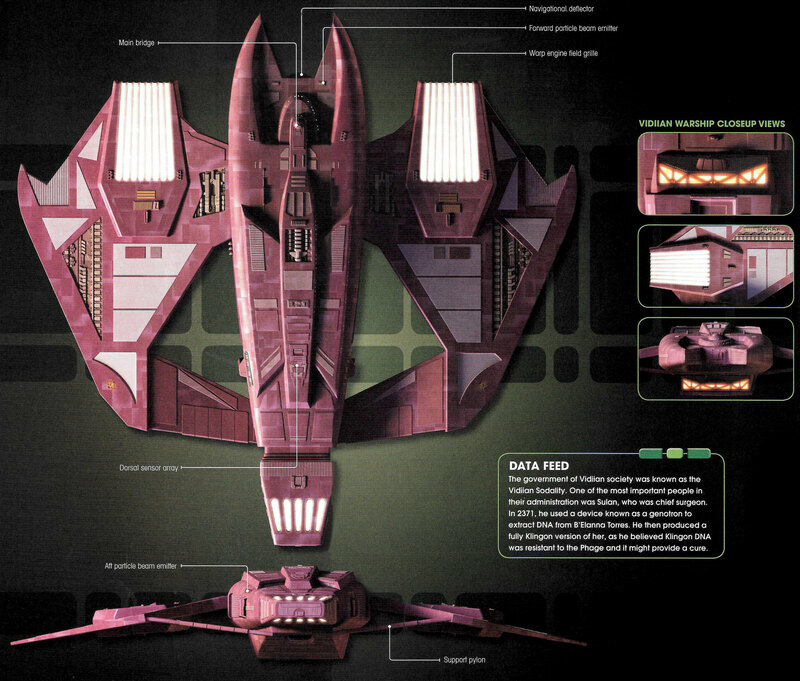 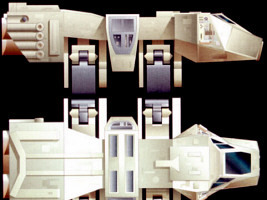 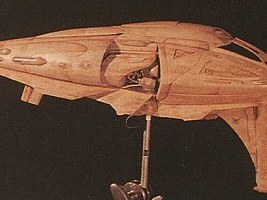 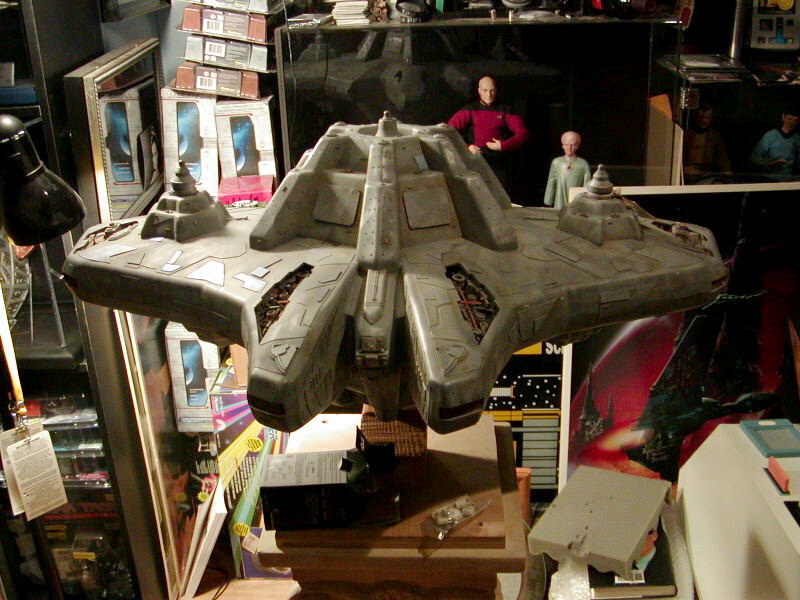 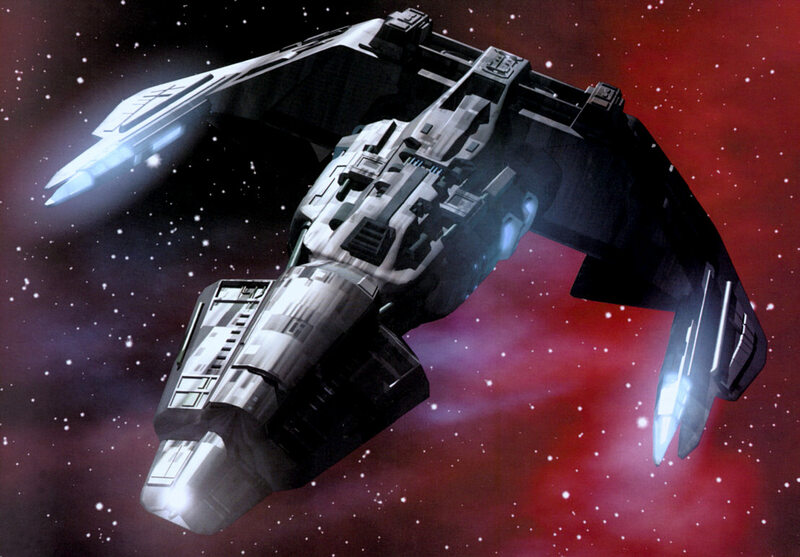 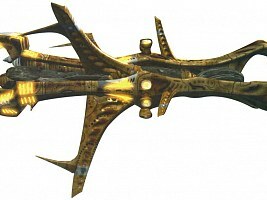 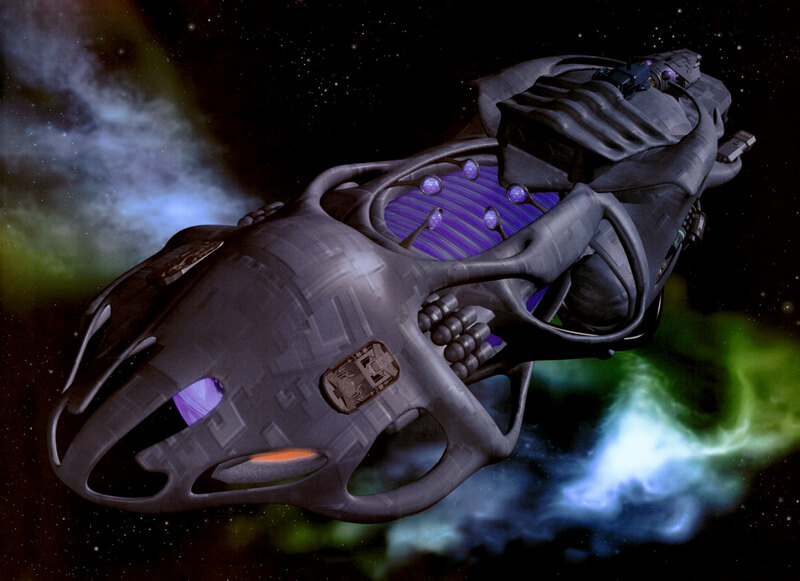 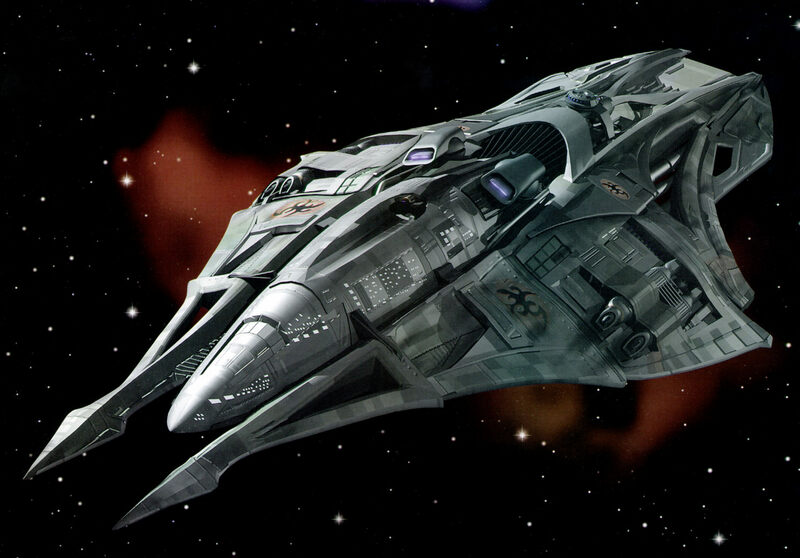 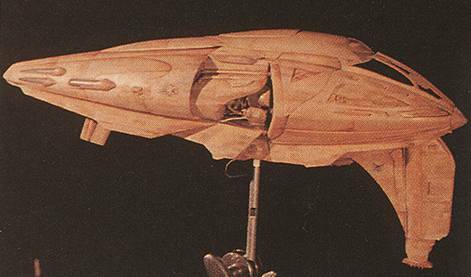 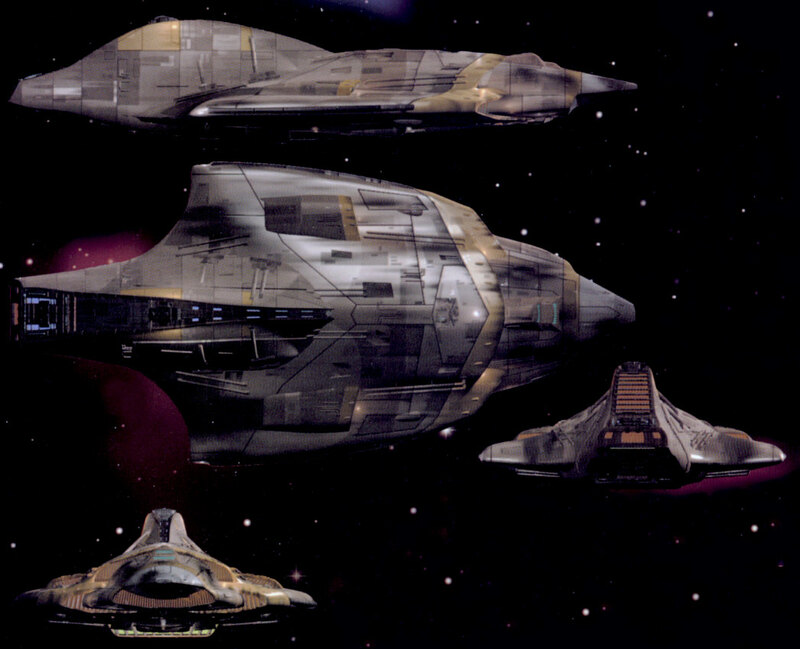 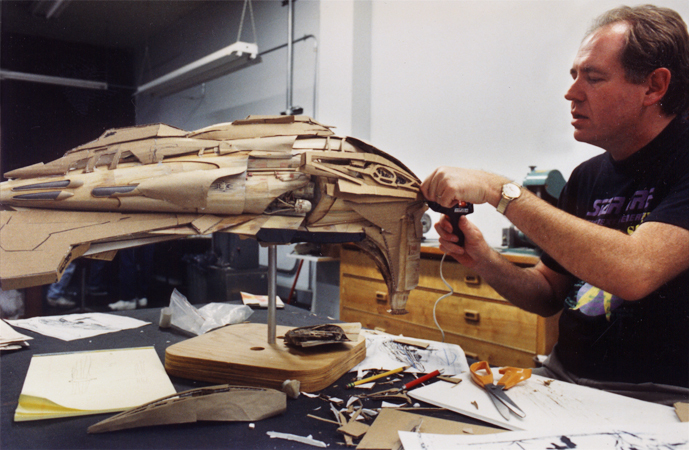 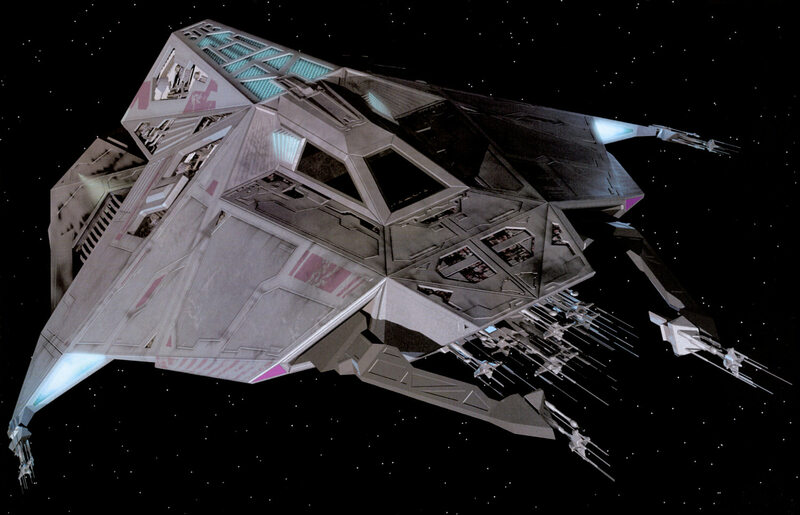 Vidiian ship 1 in VOY: "Phage"
Kazon "torpedo" from VOY: "Maneuvers"
Talaxian fighter from VOY: "Basics"
Caution The reconstruction of the Voth city ship from the Official Starships Collection is detailed but inaccurate. 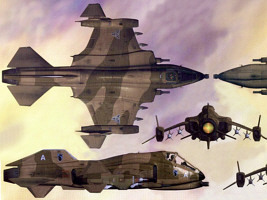 The underside is too flat and the "secondary city control" is missing. 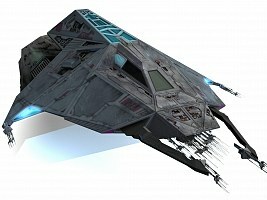 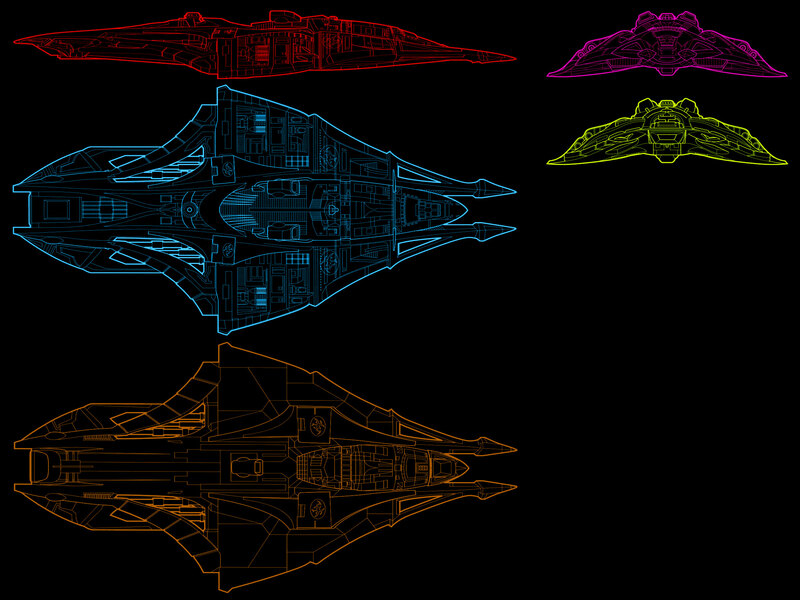 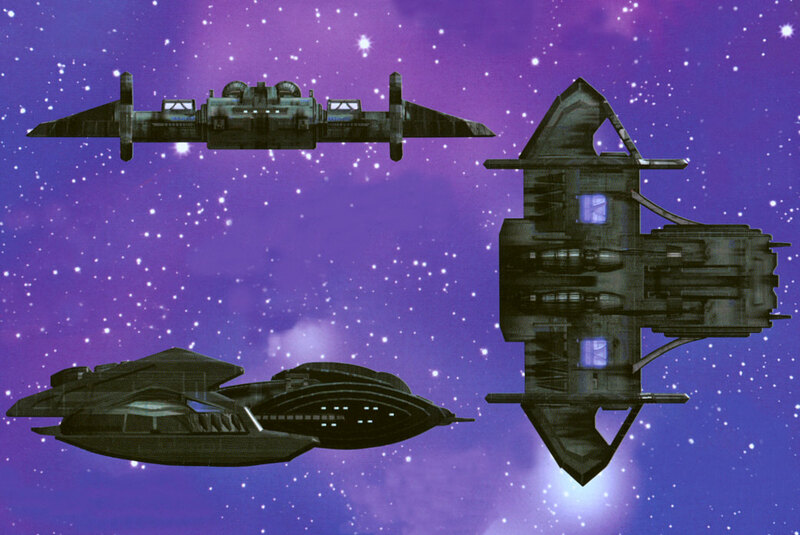 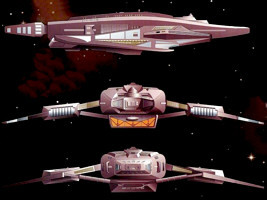 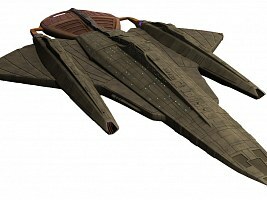 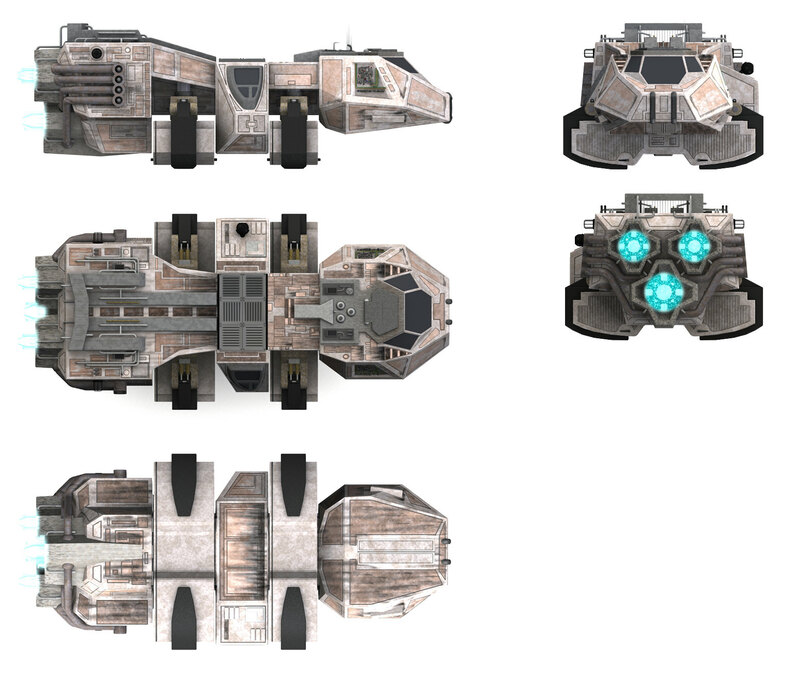 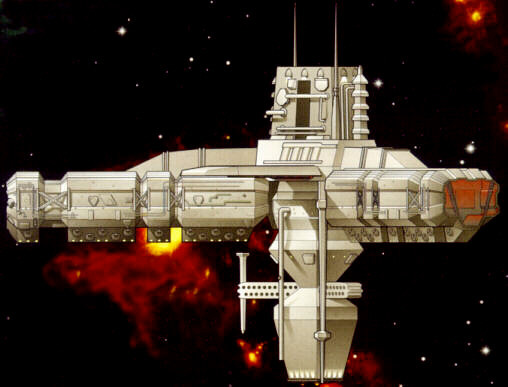 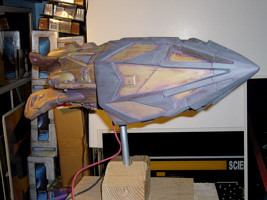 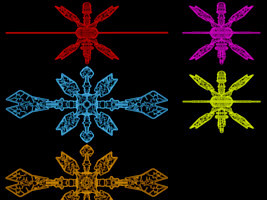 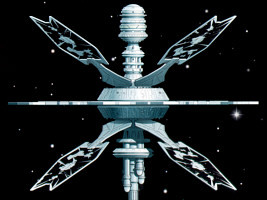 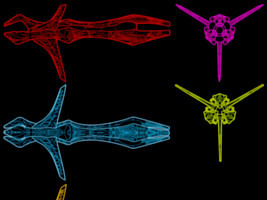 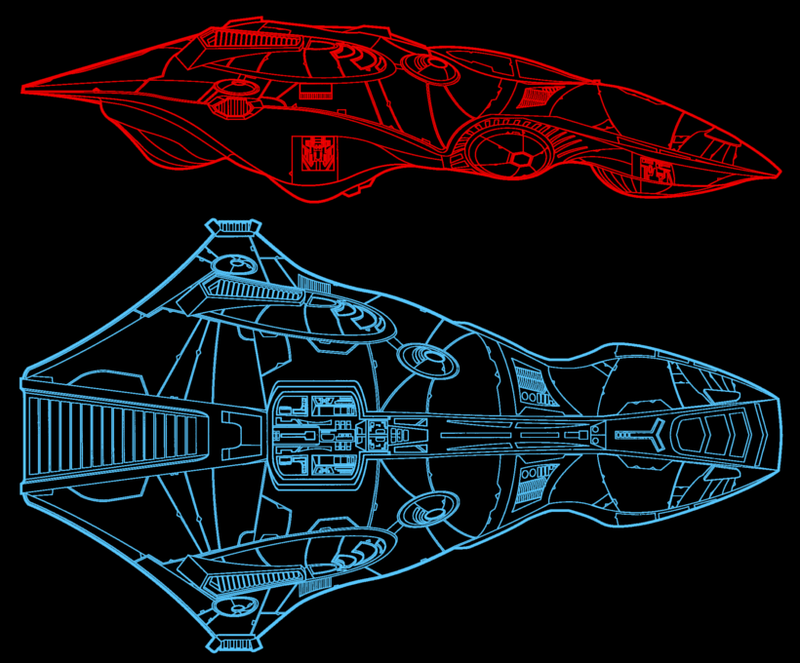 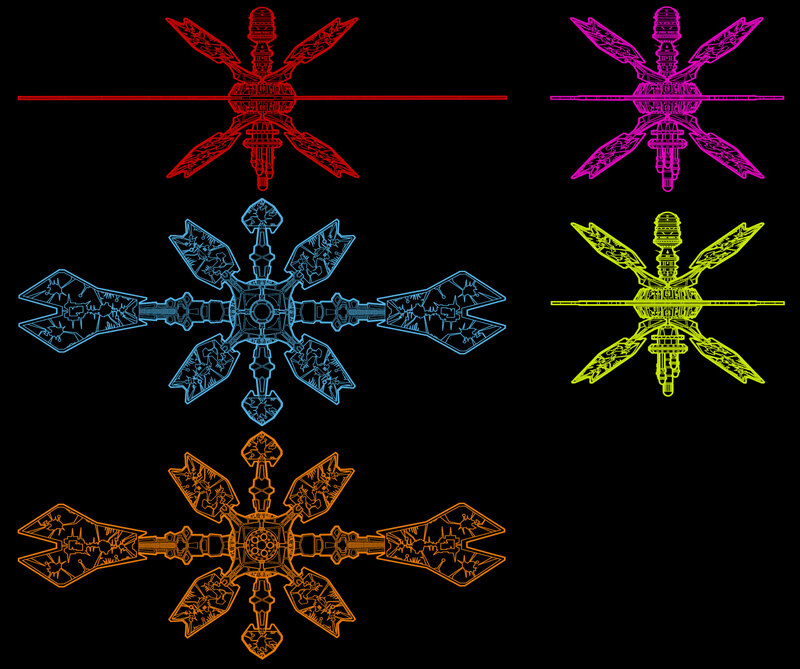 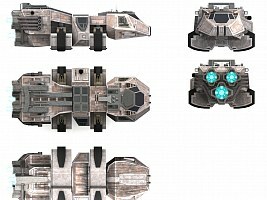 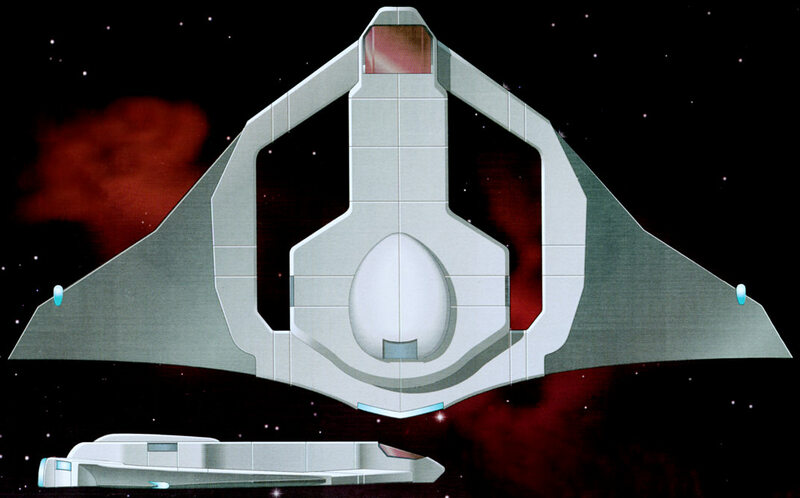 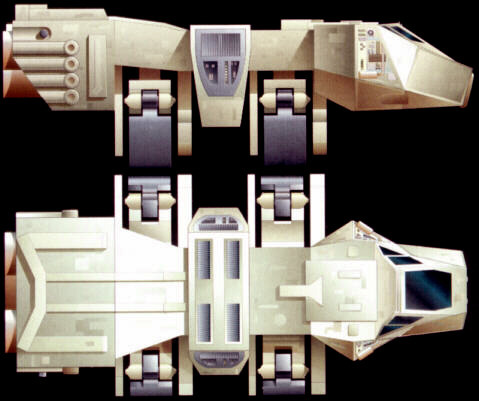 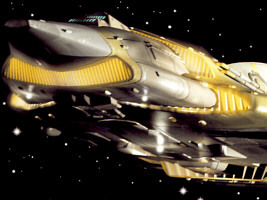 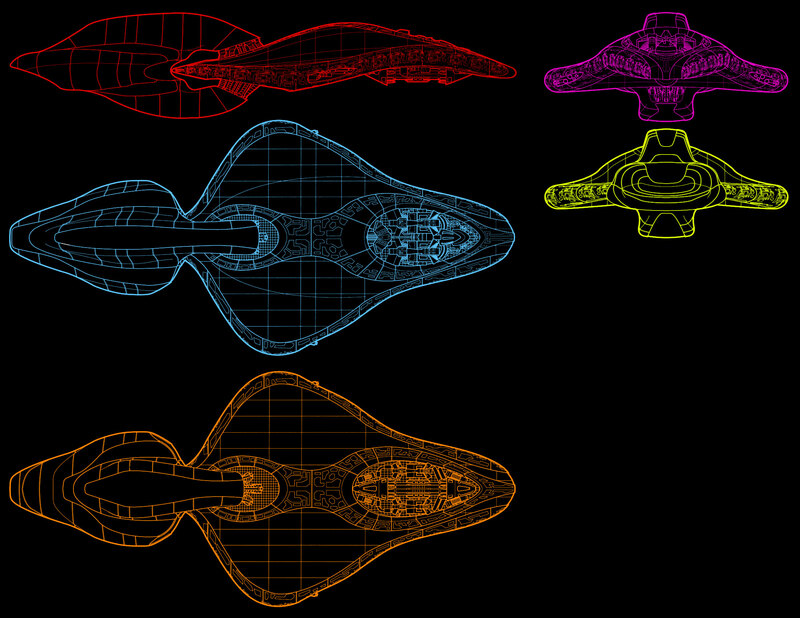 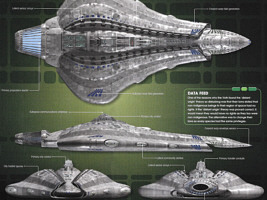 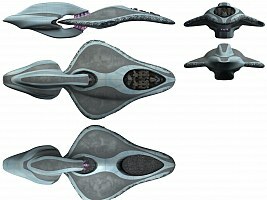 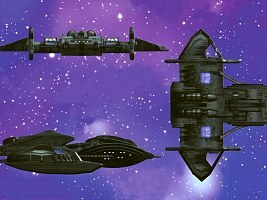 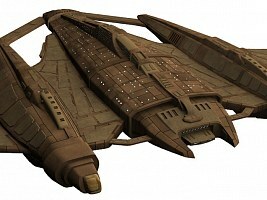 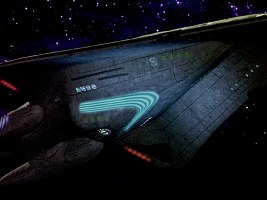 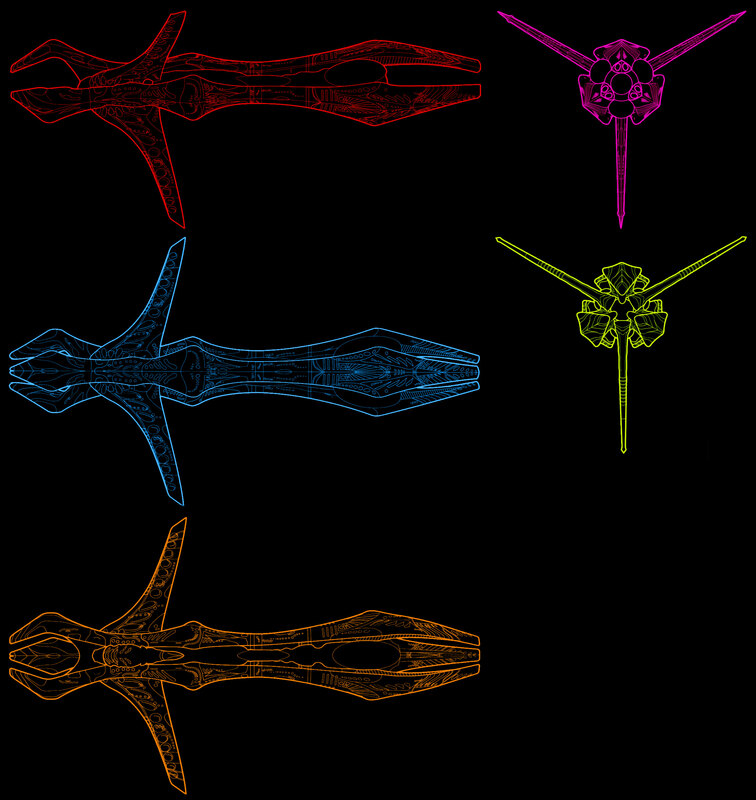 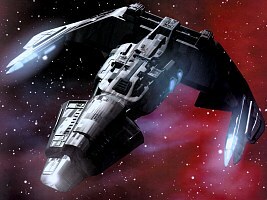 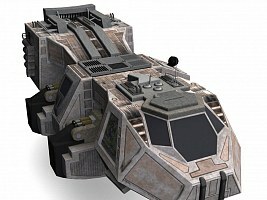 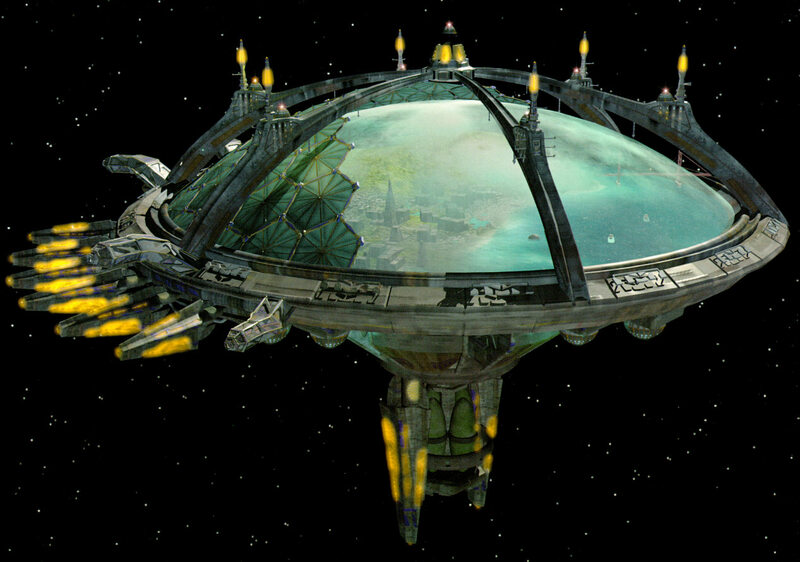 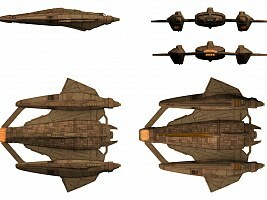 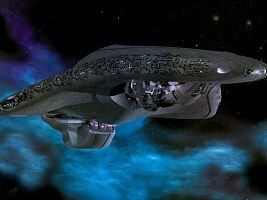 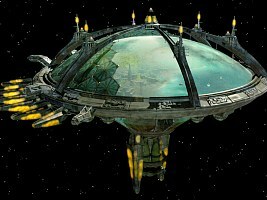 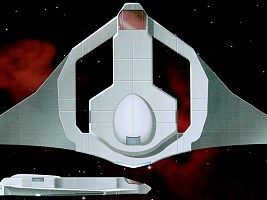 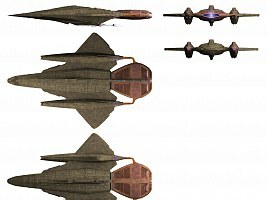 Swarm ship from VOY: "The Swarm"
Special thanks to Reverend, Model Citizen and st-bilder.de.